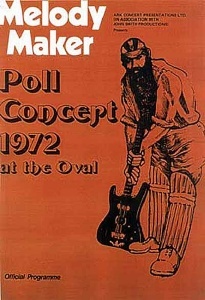 Serious riffing rock band formed in Dublin in the early 1970s. Most of the original lineup had previously been in Portrait. Jody Pollard had been in Strange Brew and The Drags before that. John Donnelly was ex Macbeth. 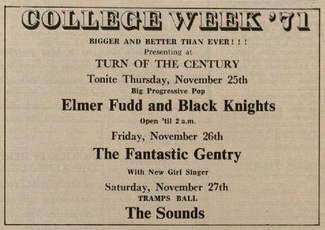 Elmer Fudd were managed by Terry O'Neill and Brian Tuite, the same team behind Thin Lizzy. Drummer/singer Jimmy Mahon (ex Portrait) was briefly with the band before making way for Benny White. 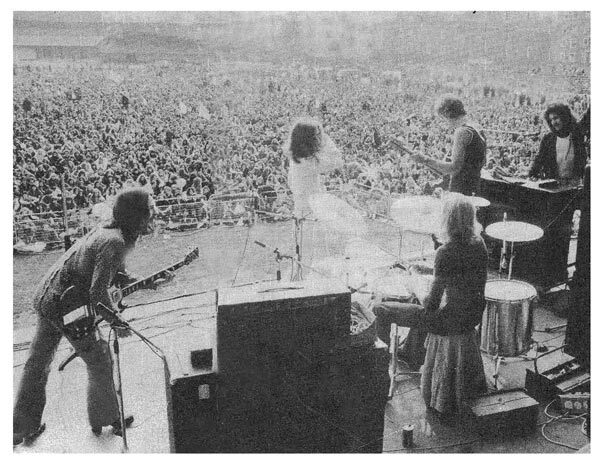 They toured Ireland supporting Thin Lizzy in September 1971, Lizzy's second Irish tour since relocating to London. Philip Donnelly left to join Donovan's band in the UK and was replaced by David Lennox (ex Uptown Band, Under River) on keyboards. Philip Donnelly was later in Gary Moore's band circa "Grinding Stone" (1973). John Donnelly (no relation?) would also play in Gary Moore's band and was later in Bananas. 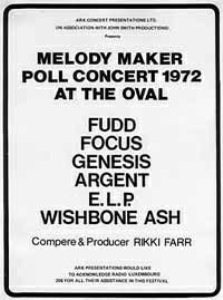 The band shortened their name to Fudd in July 1972 and moved to the UK. This was preceeded by a week long Irish tour which visited Kilkenny, Tralee, Tramore, Ballina, etc. In August they were back in Ireland as guests on Ken Stewart's Ken's Klub show on RTE radio and at christmas they played the Mansion House (22 December 1972). Based in London, they became friendy with Ron and Ray Foulks, organisers of many of the big UK festivals at that time including the Isle of Wight. The Foulks managed the band part time, which is how they came to play as opening act at the Melody Maker Poll Awards Concert at the Oval in Kennington on Saturday September 30th, even though they hadn't been nominated in any category (and don't appear on some of the posters of the event). 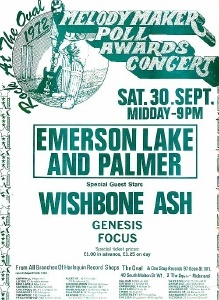 Also on the bill that day were ELP, Wishbone Ash, Focus, Genesis, etc. Perhaps with full-time management more would have happend with the band, but this was not to be and they split sometime in 1973. Jody Pollard was later in Bananas and Skid Row among many others. 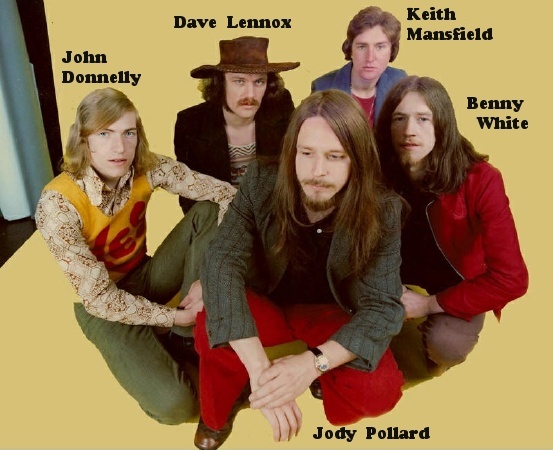 Benny White & Dave Lennox were involved with Thin Lizzy in the studio only Funky Junction project (recorded while Fudd were still active) and Benny later fronted Sheriff and The Times. Dave Lennox played with Joe O'Donnell and Rory Gallagher. Though Elmer Fudd never released anything in their lifetime and never had a recording contract, some rough recordings (demo and/or rehearsal) survive to this day.